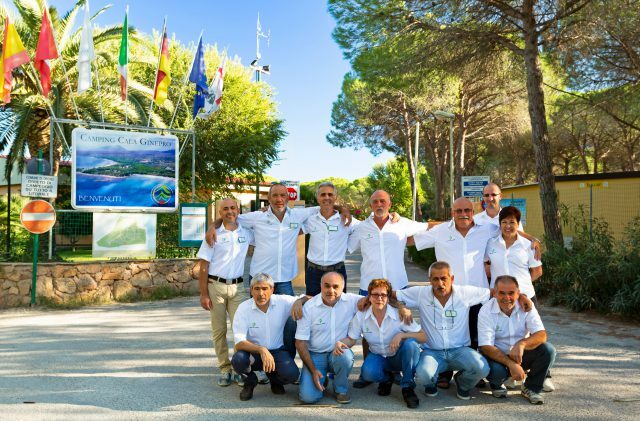 It was 1980…when, as young Sardinians from the town of Orosei, we decided to work together under the umbrella of the Sa Curcurica Cooperative and to run the Camping Cala Ginepro campsite. As in all new ventures, the early years were unpredictable and very challenging. But our determination and desire to grow together led us to bring to fruition what in the beginning had been just an idea. Many things have happened since them… and many more are sure to happen in the future! By remaining constantly geared towards customer satisfaction, expanding our offering and paying far more than lip service to the safeguarding of the natural environment, we are today proud to be able to welcome all of our guests to the great little paradise of Cala Ginepro. Cala Ginepro is not just a campsite – it is a part of the world that we adore and work hard to protect, day after day.